Of course, it's a long, long time before this OS appears on next generation ARM and x86 smartnetbooks -- second half of 2010 according to the Goog -- so who knows what the interface will look like by then. One more image after the break. Update: We just got another set of shots of what is purportedly the boot screen. To be honest, any of these could be faked, but we thought we'd pass along -- hopefully we'll be seeing something a bit more concrete in the coming weeks. Gallery is below. 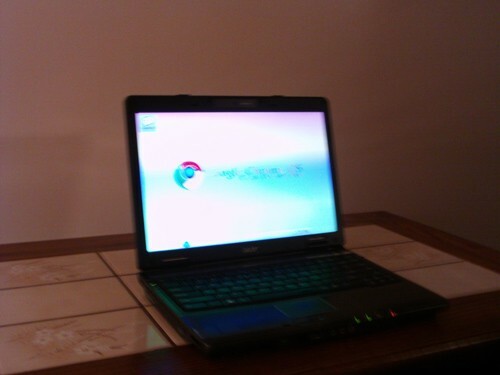 Update 2: Mr. Chrome OS Leak himself has come forward and confirmed his "screenshots" to be fake. Thanks, buddy. No word on this other set of pics.